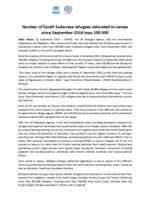 Please note that the following figures correspond to the last update on August 31, 2018. 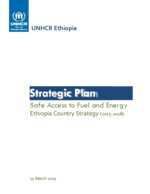 Updates will resume after the completion of the level 3 verification that is ongoing in Ethiopia. 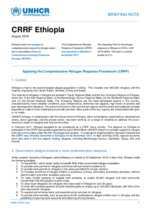 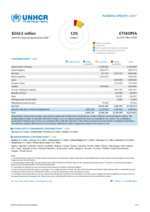 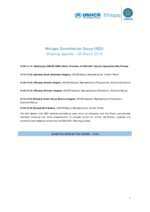 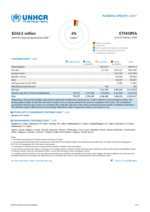 UNHCR Ethiopia Funding Update as of 02 April 2019. 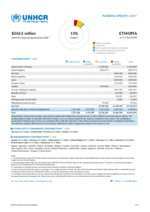 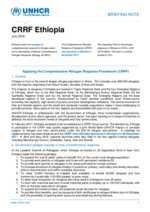 UNHCR Ethiopia Funding Update as of 20 March 2019. 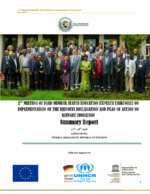 Refugee Coordination Group Meeting Agenda 25 March 2019. 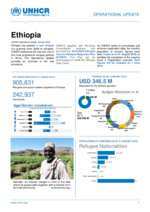 The United Nations World Food Programme (WFP) and UNHCR, the UN refugee agency, are appealing for US$80 million to provide food assistance to refugees in Ethiopia. 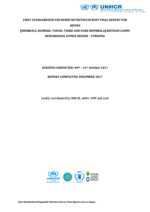 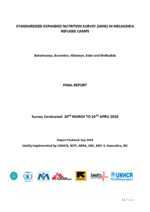 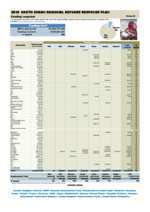 It is an annual standardized, expanded nutrition survey report covering all the five camps in Melkadia, Somali Region. 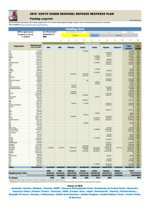 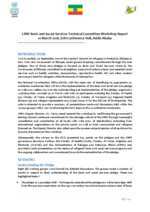 It is an annual standardized, expanded nutrition survey report covering all the four camps in the Tigray region. 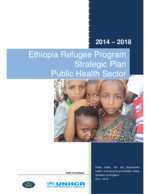 It is an annual standardized, expanded nutrition survey report covering all the five camps in the Benishangul-Gumuz region. 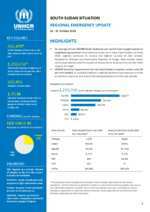 2018 South Sudan RRP Inter-Agency Funding Snapshot 07 November 2018. 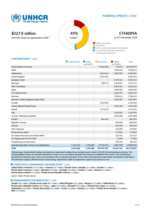 Funding snap shot 07 November 2018. 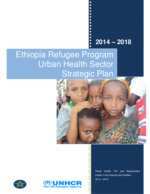 Ethiopia Funding Update as of 05 November 2018. 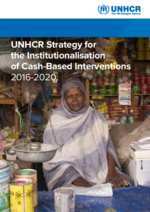 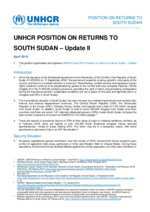 UNHCR Ethiopia Funding Update as of 05 November 2018. 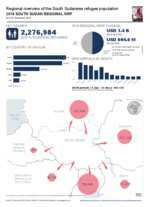 2018 South Sudan RRP Inter-Agency Funding Snapshot 12 June 2018. 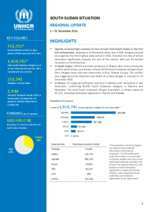 Funding Snapshot 12 June 2018. 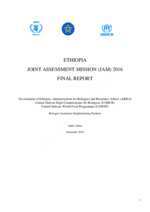 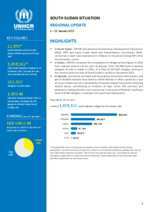 A report of the 2016 Joint Assessment Mission conducted UNHCR, ARRA and WFP to essentially assess the food security and nutritional situation of refugees. 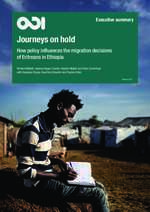 A profile of Mai-aini Refugee Camp in Ethiopia's North Region hosting thousands of Eritrean refugees. 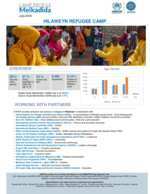 A profile of Hitsats Refugee Camp in Ethiopia's North Region hosting thousands of Eritrean refugees. 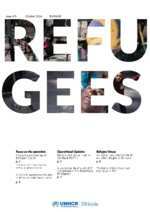 A profile of Kobe Refugee Camp in Ethiopia's Somalia Region hosting thousands of Somalia refugees. 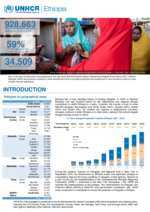 A profile of Hilaweyn Refugee Camp in Ethiopia's Somalia Region hosting thousands of Somalia refugees. 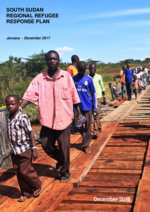 A profile of Okugo Refugee Camp in Ethiopia's Gambella Region hosting thousands of South Sudanese refugees. 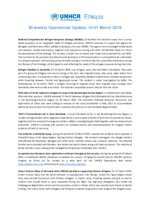 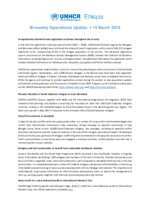 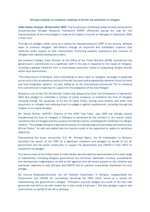 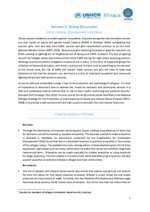 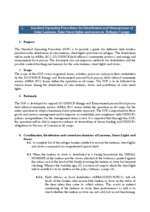 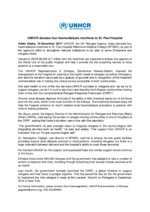 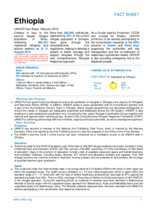 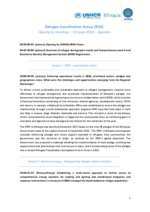 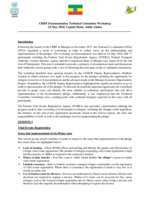 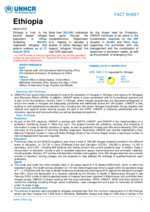 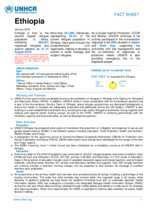 UNHCR Ethiopia briefing note for external relation July 2018. 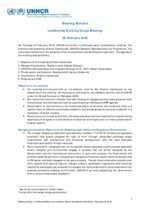 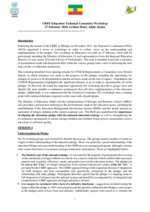 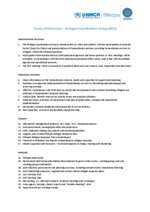 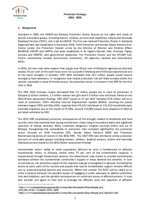 A briefing note for external relation monthly basis. 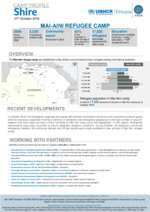 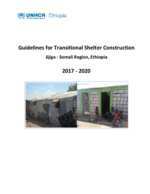 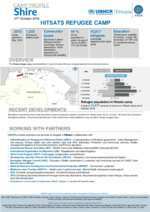 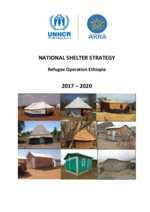 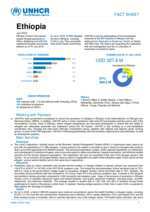 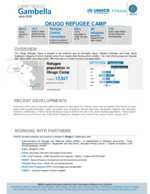 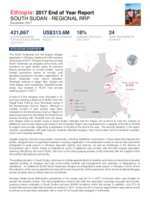 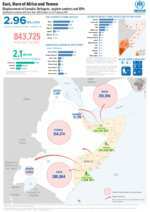 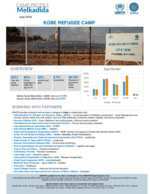 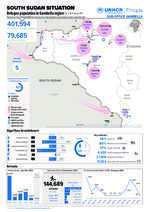 UNHCR Ethiopia operational update July 2018. 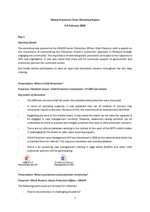 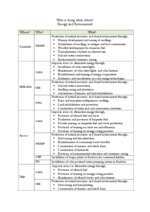 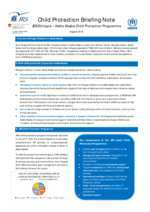 A briefing note for Operational update monthly basis. 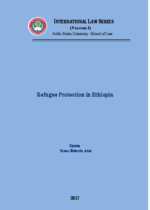 Ethiopia has a long standing history of hosting refugees. 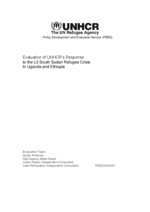 The country maintains an open door policy for refugee inflows into the country and allows humanitarian access and protection to those seeking asylum on its territory. 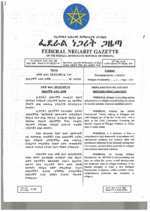 In 2004, a national Refugee Proclamation was enacted based on the international and regional refugee conventions to which Ethiopia is a party (1951 Convention relating to the Status of Refugees, and its 1967 Protocol and the 1969 OAU Convention). 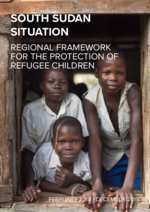 Continued insecurity within neighbouring states has resulted in sustained refugee movements, either directly as a result of internal conflict and human rights abuses or as a result of conflict related to competition for scare natural resources and drought related food insecurity. 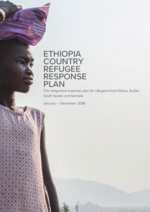 Ethiopia provides protection to refugees from some 19 countries. 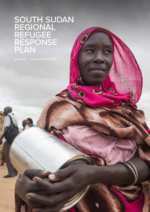 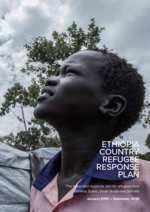 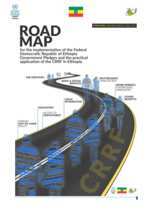 Ethiopia has well-established refugee response and coordination processes in place, based on the Refugee Coordination Model (RCM), which are anchored in a solid framework of refugee law and procedure. 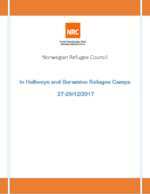 An inter-agency Refugee Coordination Group comprised of the heads of agencies, and other senior staff supporting the national refugee response meets quarterly to discuss strategic and inter-sector operational issues. 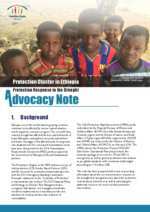 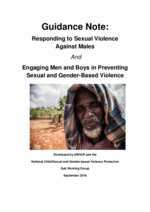 Active sector working groups include Protection, Health, Education, WASH, Shelter, Energy and the Environment, together with a Child Protection/SGBV sub-working group which meet on a monthly basis. 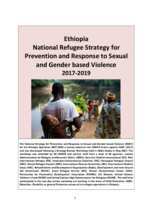 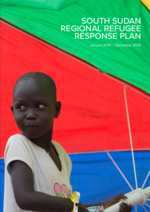 The refugee response in Ethiopia brings together fifty operational partners, including the Government of Ethiopia’s Administration for Refugee and Returnee Affairs (ARRA), supported by UNHCR – the UN Refugee Agency, in coordination with UN agencies, international and national NGOs.